decade if more drivers don’t get on the roads. Our very own student Tiaesha Hampton and Assistant Training Director John Dorris interviewed to discuss the important role truck drivers play in the national economy, and inform viewers about training resources and the benefits of pursuing truck driving as a career. There is a reason why so many trucking companies have slogans like “Keep America Moving.” The trucking industry makes up a large portion of the American economy’s backbone. Everything you purchase, whether it’s in a store or delivered to your doorstep, has probably been shipped via truck at some point in its transit. As the truck driver shortage continues to grow, it becomes harder to get goods shipped from point A to point B, which slows down delivery times and drives up the cost of products across the board. A truck driver shortage doesn’t benefit anybody! Now Is The Time to Start Your Truck Driving Career! As when any industry reacts to a shortage of employees, certified truck drivers are in very high demand right now. 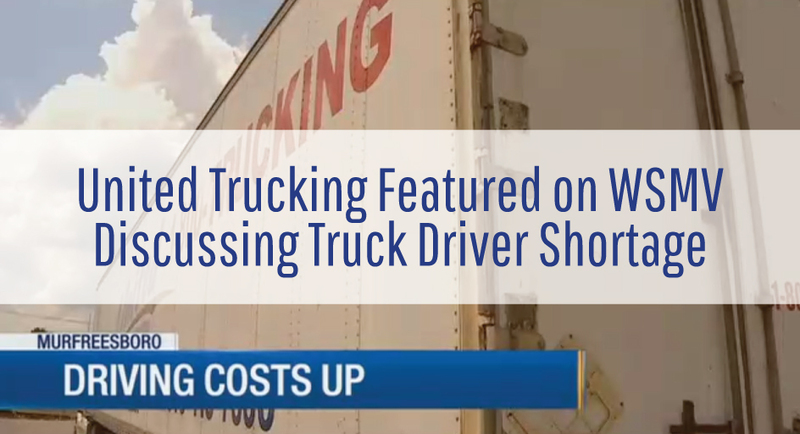 In the news story, you’ll see that our student Tiaesha is still in training with us and is already receiving job offers from trucking companies. On average, drivers start out making around $50,000 per year, and many companies offer competitive benefits packages with home time included. Enroll in one of our training programs to learn the rules of the road with one of the best driving schools in the country, earn your CDL in 180 hours, and quickly find a job upon completion of the program. America needs you right now! Give us a call or message us today to learn how to get started.